Either way, we have the solution! 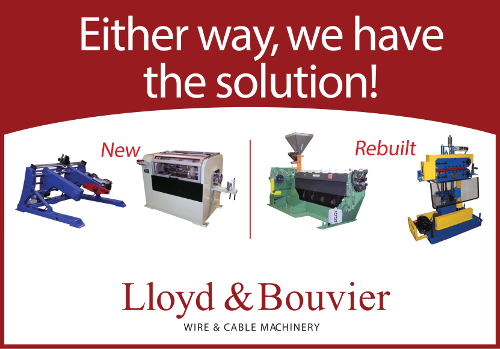 Lloyd & Bouvier is your complete source for wire and cable machines. We sell new, used, and refurbished wire and cable equipment: Extruders, Take-ups, Wire Payoffs, Capstans, Cablers, Wire Preheaters, Tapers, Bunchers including complete processing lines for Extrusion, Cabling, Taping and Respooling. 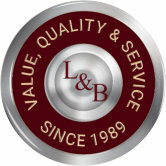 Lloyd & Bouvier is North American Agent for Cortinovis Sictra, Division of Trafico, Italy. 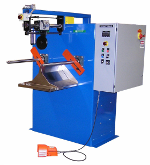 New rotating machines such as bunchers, cablers, drum twisters, rotating pay-offs from Cortinovis and wire drawing machines for copper and aluminum from Scitra are available including parts for existing machines. Let our mechanical, electrical, engineering and quality control staff review your application specifications. 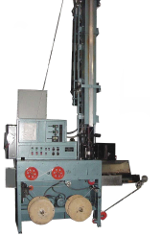 Each new or refurbished machine or system is designed to the customer's specific requirement. 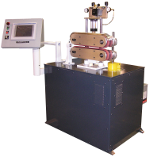 Our in-house electronics department and modern machine shop provide customers with the latest technology. 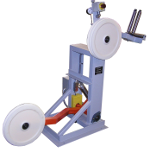 Sell us your used wire and cable machinery. As experienced machinery appraisers we are interested in purchasing any surplus wire and cable equipment you have to offer. We also provide complete plant liquidation services. 1.5 inch Merrit FEP extruder, 24:1, air cooled. Sr. No. 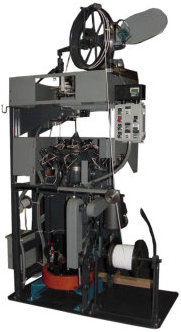 LB-03326-01. 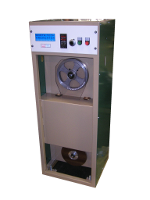 Marathon Blue Max AC motor with Unidrive UM 2403 AC drive. 4 heat zones with 2 additional zones for die and clamp. 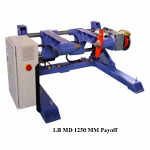 Includes high temperature barrel and screw. Additional clamp with cross-heads. Electrical panel is missing processor. Panel has all necessary controls and displays.